TAGS- for two SPECIAL GIRLS!!!!!! Well, I have been BUSY, seems so many things going on AND feeling a need to take a break from blogging...It seemed the time to make my great escape! Trying to get ready for the upcoming holidays now, are you? I thought I'd jump in here & play along with PTI blog hop today! When I started writing this-- last night, I was working away on getting these Tags done, & went over to PTI to get all the info. so I could share it with you & REALIZED I didn't quite do it right! OH WELL! It was FUN while it lasted!!!!!!! LOL I most always try to coincide the cards I make for challenges with what I have to send out. There IS a way to play along on the forum too! HOPE you jump in & play! My first TAG is for our daughter for her birthday! She is taking Astronomy this year in college & has ALWAYS enjoyed looking at the stars! 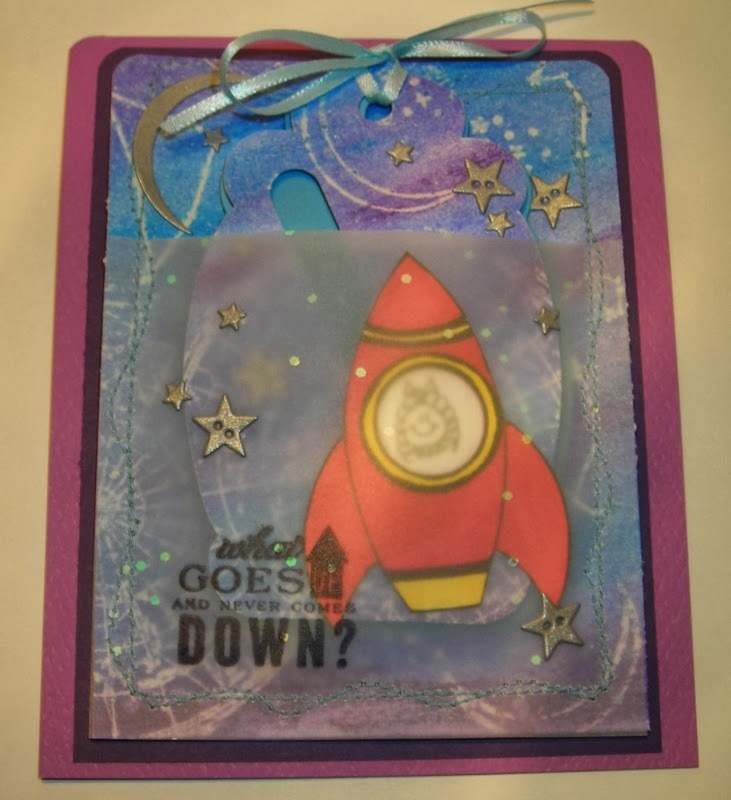 I created a card with a pocket for the tag! The pocket is made of Deluxe Assortment Vellum. It has little sparkly dots on it that I thought would look like the twinkling sky! The background paper & the tag are made with PTI- Star Gazer & Star Gazer Additions! 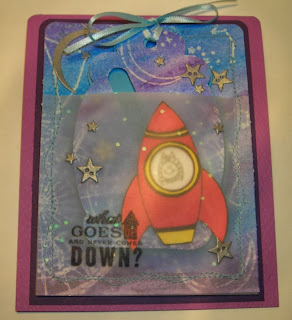 I used clear embossing powder that I added clear glitter to, to make it sparkle! Then I used Gelatos & added a little water to blend the colors! I basically made a Master Board & then cut what I needed! Notice the little Rocket? I NEED the little set that PTI has- Boy Basics-Out of This World Mini! I drew mine! I also created a little acetate window- here I added a little stick figure, but I will put my daughters' picture in there just for her! I think she'll like that! 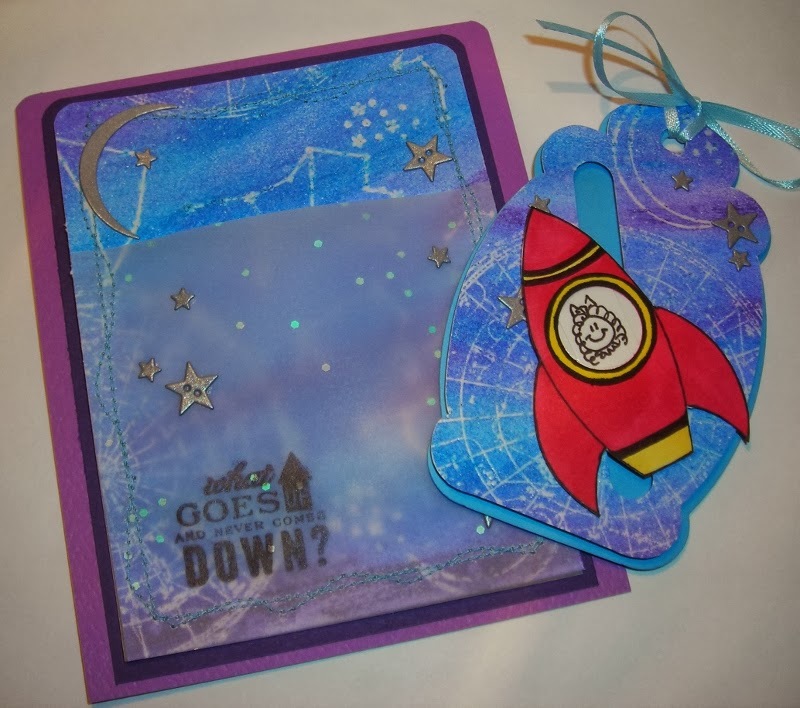 I also used the Star Gazer Die set for the little silver stars & crescent moon! 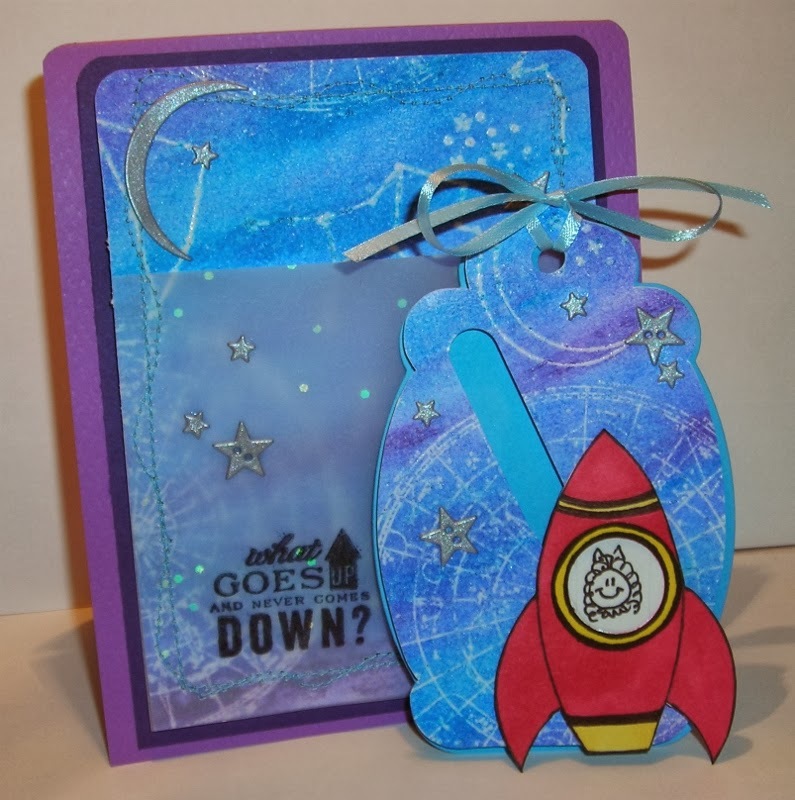 The sentiment on the front is quite cute--"What goes up & never comes down?" The sentiment outside & in are from PTI- Movers & Shakers Sentiments. The tag is a Spinner Tag made with SU- Word Window Punch; the mechanics are made with PTI Movers & Shakers Spinners Die. The next TAG I made is a Tag Card, made for our daughter's room mate. 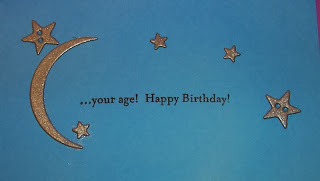 A little card that our daughter can sign & give to her! I tried to do an Andy Warhol thing by stamping the red card stock with soup cans. Notice the "feel better!" ? Our daughter's roommate has Pneumonia!!! NOT GOOD! So, our daughter has been tip-toeing around trying not to disturb her while she rests! Our daughter has ALWAYS been VERY CONSIDERATE while people are sleeping! This card was made with PTI-Comfort Food. 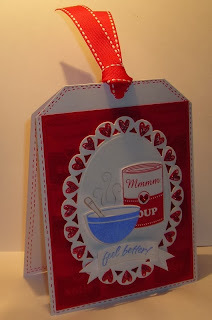 I LOOOOOOVE that little can of Soup!!!!! LOL LOVING IT!!!!!! 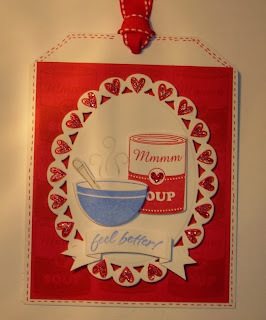 HOPEFULLY, this will help our daughter's room mate feel better while she recovers! Say a little prayer for her??? I KNOW it will be SOOO APPRECIATED!!! HOPE to see you over at PTI! LOTS of FUN to be had!